Every golfer has a ball they put in play when it counts. You just found your Gamer™. This ball features award-winning Dimple In Dimple Aerodynamics and provides total 3-piece performance from tee to green. The cover has been reformulated for increased durability, longer distance and superior short-game spin for increased greenside control. The highly resilient core is softer for better feel off of the clubface and the DuPont® HPF™ mantle layer increases ball speed to maximize distance. 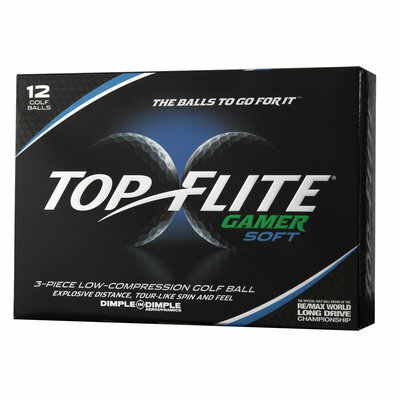 Gain more distance even with a slow speed when you use the Top Flite® Gamer Soft Golf Balls. 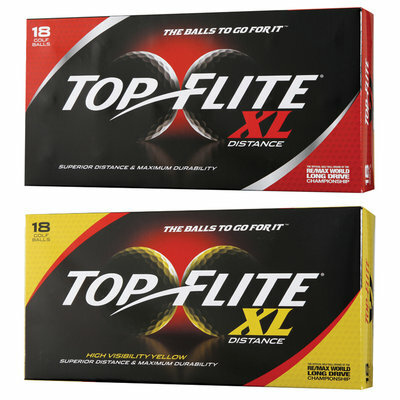 These golf balls come designed with a 3-piece low compression construction and a high-resiliency core combination to provide longer distance for slower speeds. The Dimple in Dimple™ Aerodynamics technology relies on design to gain maximum distance, and the durable cover promotes green side spin and control. 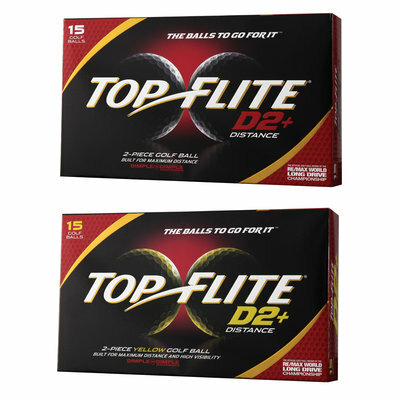 Top-Flite D2+ Distance Golf Balls utilize a larger core with a thinner cover to optimize feel and produce high ball speeds to maximize distance. 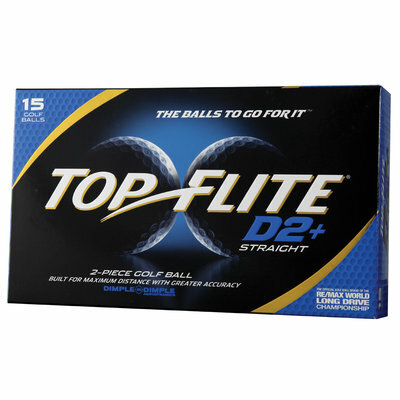 The Top-Flite D2+ lineup offers exceptional feel off the clubface while providing the same long distance of a D2 golf ball. Dimple in Dimple Aerodynamics increase distance for a wide range of players and a high speed core adds the perfect balance of feel and ball speed. Diva is the perfect ball for a woman's swing speed. 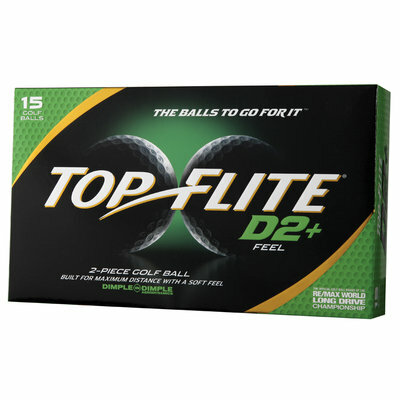 The Top-Flite D2+ lineup offers exceptional feel off the clubface while providing the same long distance of a D2 golf ball with soft compression and a pearlescent finish. Dimple in Dimple Aerodynamics increase distance for a wide range of players and a high speed core adds the perfect balance of feel and ball speed. 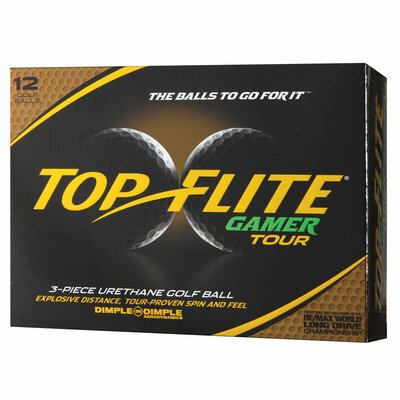 The Top-Flite D2+ Straight promotes low driver spin and improved accuracy. 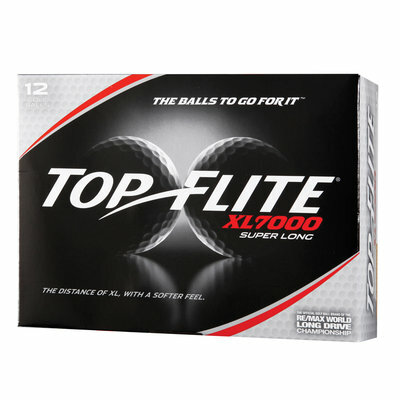 Top-Flite XL 7000 Super Long Golf Balls combine soft feel with maximum distance for the ultimate in well-rounded playability. An Ionomer cover creates low spin for optimized launch speed and additional yardage - so every shot flies further. Aerodynamic distance dimples have a high surface coverage for consistent performance swing-after-swing. 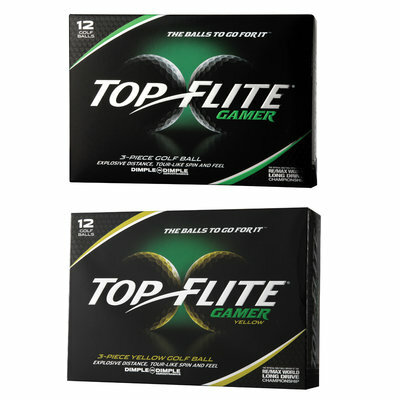 Cut-proof cover design helps reduce scuffs, cuts and other flight altering damage so each golf ball lasts longer.